Constructed from extruded aluminium with ribbed sides. 1 vertical, 1 horizontal and 1 45 degree vials. Milled top and bottom faces. 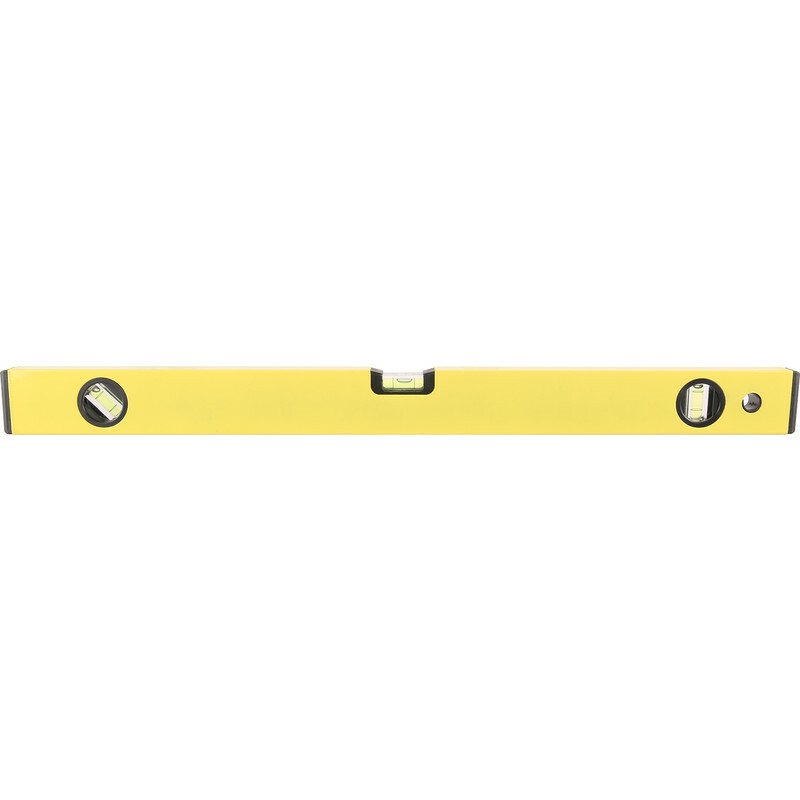 Trade Spirit Level 600mm is rated 3.6 out of 5 by 35. Rated 1 out of 5 by Farmer 6 from Not true The level dosn’t read true so I will have to return it. Rated 5 out of 5 by sunnycolwyn10 from toolstatiion no problem good quality fast delivery all good. Rated 4 out of 5 by MichaelD from Does what is required Bought this instead of a laser level. Saved loads. Rated 5 out of 5 by Matt189 from Perfect non pro level I needed a long spirit level for summer house base, but did not want to spend a lot on something i’m unlikely to need much in the future. Checked accuracy on delivery, and is perfectly level. First class.